The Matrix was one of the most groundbreaking films of all time. Not only did it make big philosophical concepts graspable in an action movie setting and give us a glimpse at what the internet would look like in cinema — not only did it turn fighting scenes into masterful pieces of art and bring the digital technique of "bullet time" into the mainstream — it's also a film that holds up brilliantly today. 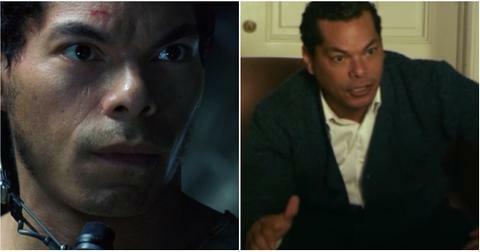 The movie follows a computer programmer who is faced at the onset with a difficult decision: swallow a blue pill to remain a cog in the world he believed to be real, or take the red pill and confront the reality of the matrix, a big digital simulation, to understand his place in it. 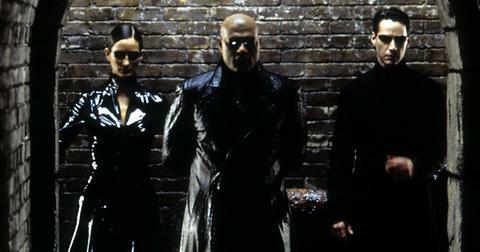 Although 2019 is vastly different from 1999, when The Matrix was initially released, the Wachowskis' film has aged formidably. We've seen the film more than a handful of times, but each viewing somehow feels like the very first and always leaves us with different takeaways. So, to celebrate the 20th anniversary of this masterpiece, let's take a look at where the cast who made the movie possible is today. Although we recently learned that Sandra Bullock, Brad Pitt, Will Smith and Leonardo DiCaprio all passed on playing Neo, we truly can't imagine anyone else as The One. 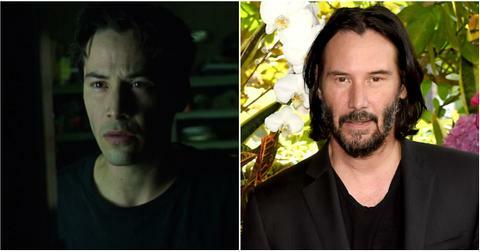 Keanu Reeves already had an established acting career before taking on the role of Thomas A. Anderson, AKA Neo, and got his start with Bill and Ted's Excellent Adventure, My Own Private Idaho, and the unforgettable Speed. But ever since The Matrix vaulted him to stardom, he's flexed his acting chops by taking on roles spanning action and rom coms, including The Replacements, A Scanner Darkly, Something's Gotta Give and John Wick. Expect to also hear Keanu lend his voice in the upcoming Toy Story film in the role of new toy Duke Caboom. 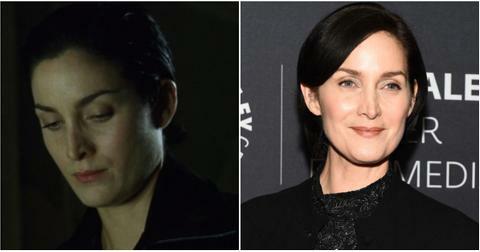 Although Carrie-Anne had a career in acting before The Matrix, Trinity was her real breakout role. "It gave me so much," she said of her experience working on the movie, which allowed her to go on to star in Chocolat, Red Planet, Memento and Disturbia. Carrie-Anne is a regular on the sci-fi series Humans and had a recurring role on Netflix's Jessica Jones as Jeri Hogarth, a character whose gender was changed from male specifically so Carrie-Anne could play the part. In addition to acting, Carrie-Anne has also launched a women's platform called Annapurna Living, which offers online courses to "build community for support, create conversations to empower, and give women strategies to turn the simple into the majestic." If you'd like to follow her Instagram account (her bio, "Recognize the other person is you" is uncannily reminiscent of The Matrix), check out her page here. 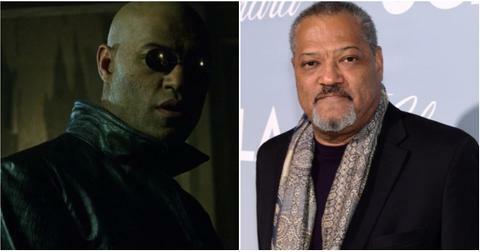 Laurence was already a big name in Hollywood when he signed on to play the iconic, super smart, hyperconscious Morpheus. He starred in 1991's classic Boyz n the Hood as Furious Styles and won critical acclaim for his portrayal of Ike Turner in What's Love Got to Do With It. Back in 1995, he even played the eponymous lead in Othello. Since putting his role of Morpheus behind him, Laurence has continued his illustrious career. 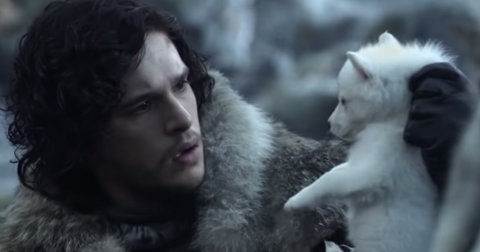 He's gone on to star in Mission Impossible III, Akeelah and the Bee, Teenage Mutant Ninja Turtles and even a few John Wick movies alongside his former co-star Keanu Reeves. He also has an extensive CV when it comes to television; he's played Dr. Raymond Langston on CSI, Nelson Mandela in Madiba, and you can catch him week after week as the hilarious Pops in Blackish. Show us a more amazing villain than Agent Smith, we'll wait. The sentient, individualistic AI who thinks humans are a virus is brought to life in an impeccable performance by Hugo Weaving, who succeeds at conveying Smith's absolute disdain for people with every line he delivers in the film. 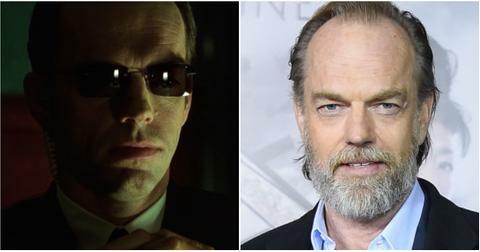 Hugo got his start in theater and took on roles in stage productions and short films before being cast as Agent Smith in The Matrix. Since then, he's gone on to play Elrond in The Lord of the Rings and The Hobbit films, as well as the title role in V for Vendetta, which reunited him with the Wachoski directorial team. Most recently, he's appeared in comic book franchises like Transformers and Captain America: The First Avenger, as well as in theater productions. 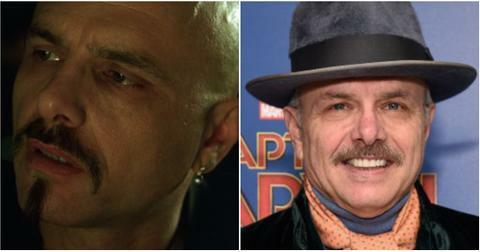 Joe Pantoliano excels at playing unlikable characters and his tenure as Cypher in The Matrix was far from his first rodeo. A prolific actor with over a hundred credits to his name, Joe was already well into his career when he got the role of the snitch of the group who's playing both sides and feeding information to the agents. Joe's breakthrough role came in 1983 when he starred opposite a young Tom Cruise in Risky Business. Before The Matrix, he'd also starred in The Goonies, Midnight Run, Bound, and The Fugitives. He's continued his prolific career since wrapping up his role as Cypher, going on to win an Emmy for his role as Ralphy on The Sopranos, and later joining the Wachowski duo on their Netflix series, Sense8. Gloria Foster might be best known to us today as the sweet, wise, cookie-baking Oracle in The Matrix, but her career spanned a long four decades before she landed that role on screen. She was a legend in the theater world, acting on and off Broadway in productions of In White America and Having Our Say, and winning several Obie Awards for her outstanding performances. 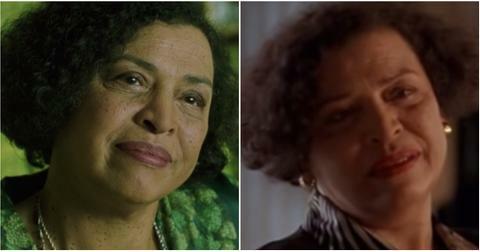 Sadly, she died of diabetes complications in 2001 at the age of 67, two short years after The Matrix's release. But the year before her passing, she made an appearance in the Showtime series Soul Food, pictured here above. Marcus (who, fun fact, is the adoptive son of Tommy Chong of Cheech and Chong) got his start in film at the age of 9, playing the young Frankie Warner in Roots II: The Second Generation. Since bringing to life Tank, the beloved operator in The Matrix, Marcus seems to have been slowing down his acting career. He's appeared in a few TV series in the past twenty years, including Law & Order: Special Victims Unit, Law & Order: Criminal Intent and Numb3rs. You can see him in his last acting credit, as Harry Belafonte in a 2013 short entitled Not 4 Sale, above. 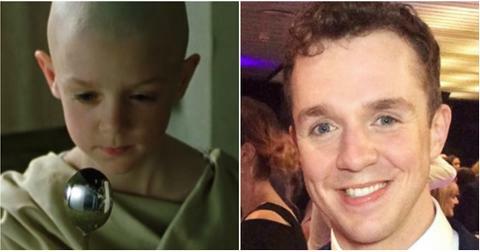 Sure, the little boy in the waiting room who teaches Neo that "there is no spoon" might not immediately come to mind when you're reminiscing about The Matrix's cast, but Rowan Witt did such a good job embodying his character, we couldn't pass up the chance to see how Spoon Boy (literally, how he's credited) is doing today. 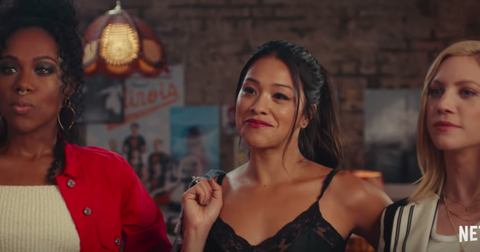 It's no surprise Rowan's iconic role in The Matrix is the one he's best remembered for, but today the Australian actor is highly active in the musical theater scene Down Under. He starred as the Professor in a production of South Pacific at the Sydney Opera House and garnered critical acclaim for his 2014 role as Jack in Into the Woods. He has acted in numerous plays, including the Australian premiere of The Book of Mormon and also does work as a voice actor. Fun fact about Rowan: He made it all the way to the final four shortlist for the role of Harry Potter. See Where Tom Welling and the Season 1 Cast of 'Smallville' Are Today!